A very thoughtful young man has donated one of his teddy bears to a local charity to use as their new mascot. 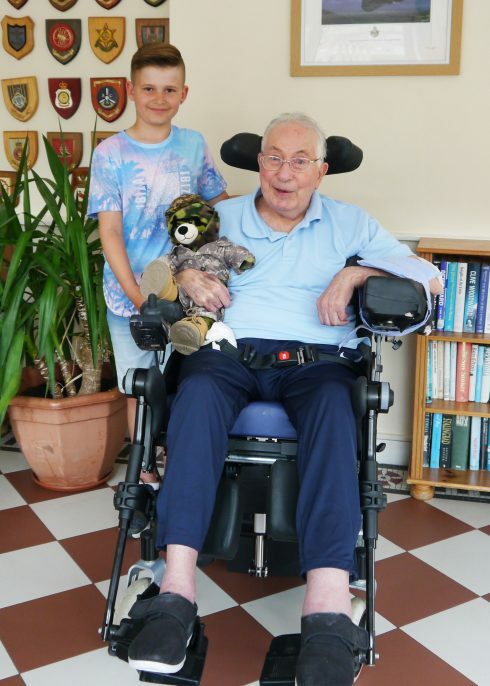 Nine-year-old Harvey Tress, who goes to Seaside School in Lancing, donated his bear to local charity, Care for Veterans, where his Mum works as a Healthcare Assistant. The bear, which has been nicknamed Valiant, is a fitting mascot for the charity as his fur is patterned with Army camouflage, and he comes wearing fatigues and combat boots. Valiant will attend the charity’s fundraising events and will travel with resident veterans on some of their trips out. Harvey also very kindly donated some other toys to the charity, to help them raise money for the disabled veterans who live there.